Pres. George Washington authorized Springfield Armory to begin manufacturing small arms for the US military in 1794. Over nearly two centuries until its closure in 1968, the government armory at Springfield, Massachusetts, became legendary, not only for the arms provided to soldiers during conflicts such as the War of 1812, the Civil War, and World War II, but also for the way in which those arms were crafted. The drive to produce firearms of high quality and quantity for the nation's military created a need to improve manufacturing methods and machinery. Armory advancements, such as the interchangeability of parts, helped lay the groundwork of the American Industrial Revolution. Because of these efforts, Springfield Armory is recognized not only as a first-rate government arms manufacturer, but also as a hub of industry, attracting thousands of skilled men and women from around the world. 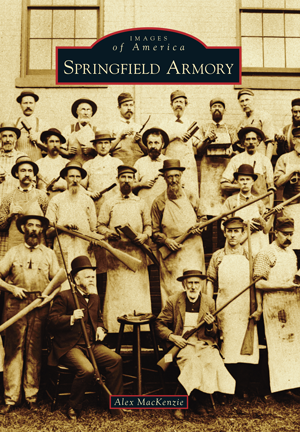 Bringing together photographs from the Springfield Armory archives, local historical repositories, and other sources, Springfield Armory National Historic Site curator Alex MacKenzie tells the fascinating and important story of Springfield Armory, its growth, its products, and its people.